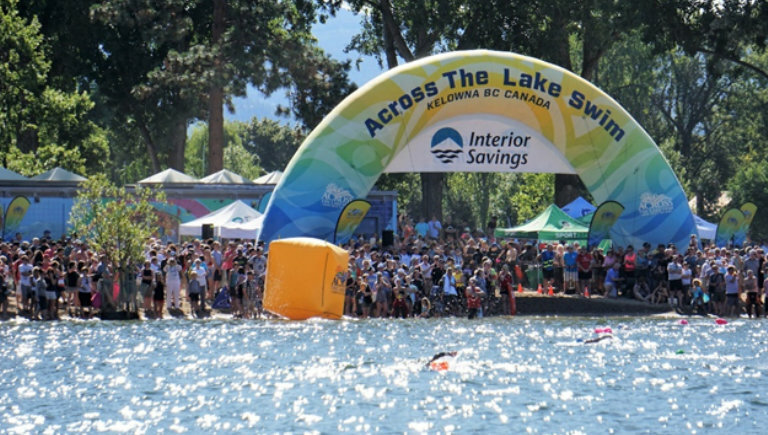 Registration is open for the Interior Savings Across the Lake Swim Kelowna July 20, 2019. Once again, you should all be applauded for a wonderfully successful ATLS event! This is the 3rd time for me braving the depths of OK Lake, and I’ve never felt safer and more supported by the organizers and volunteers. It is obvious that you all work very hard to make this a positive experience for the participants, especially anyone who feels unsure about the swim. I wasn’t concerned for myself, but I overheard some at the start line mentioning how the event was set up in a way to make the swim less nerve-wracking for them.